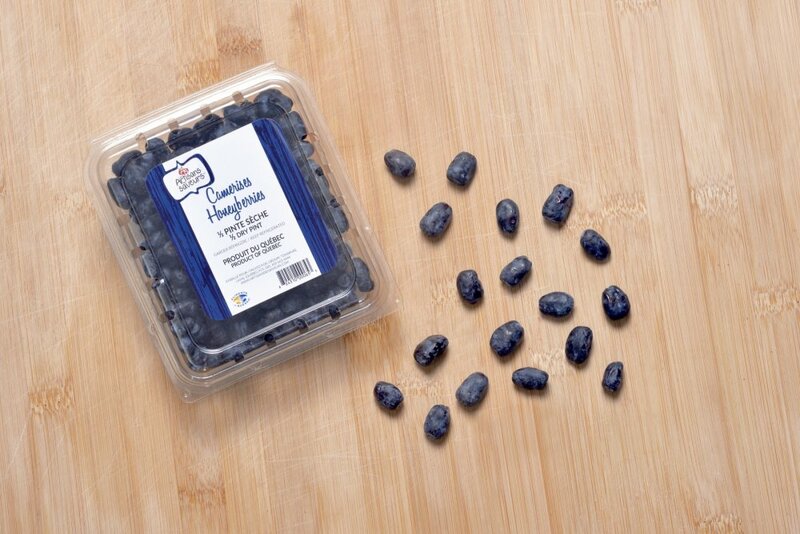 A sweet northern berry with antioxidant virtues superior even to the cranberry and blueberry, this berry has a distinctive oval shape and is a great source of Vitamins C and A. Québec is the North-American leader in the production of this new super berry. The blue honeysuckle berry will peak your curiosity and you will fall under the charm of its taste, a combination of cassis, blueberries and raspberries. 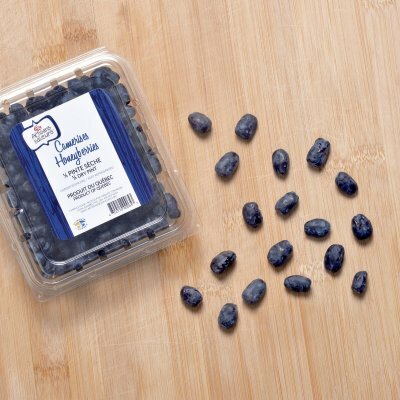 This berry cooks just like blueberries. Refrigerate. It is available in late June and early July.